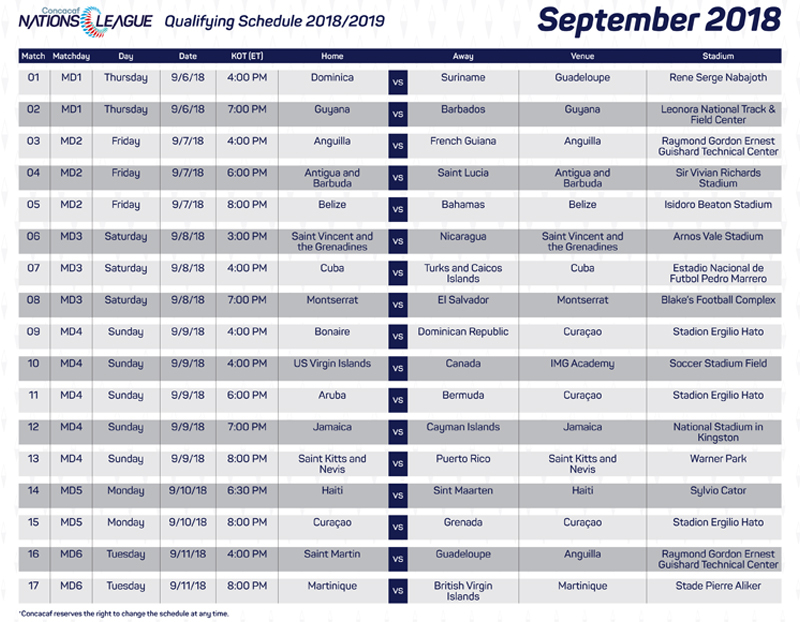 The Concacaf Nations League Qualifying is set to kick off, with a number of nations and islands in the region to play, with the Bermuda men’s football team set to match up against Aruba in Curacao on Sunday, September 9th. In announcing the Senior Men’s National Team that will play in the inaugural Concacaf Nations League Qualifying Round Match the BFA previously said, “Prior to their arrival in Curacao the team will assemble in Miami to undergo two 2 days of training which will be beneficial for the coaching staff to work on a few technical and tactical matters considering the number of players residing outside of Bermuda. 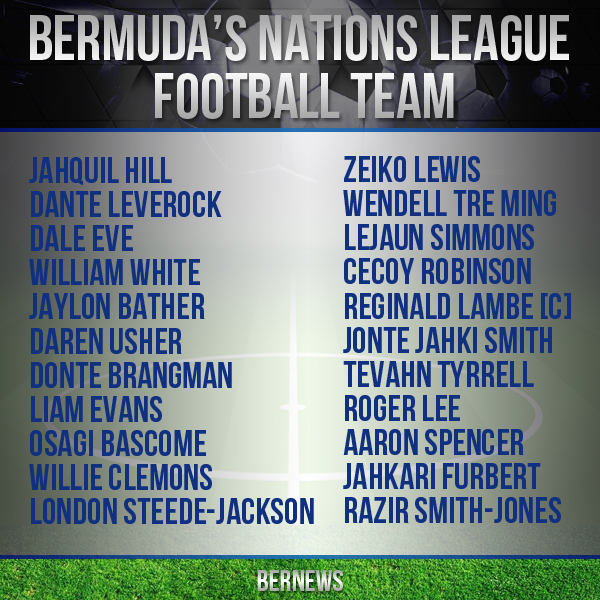 “Coach Kyle Lightbourne will be looking forward to galvanizing the players as those selected will form the nucleus of the team that will represent Bermuda throughout the entire series of Nations League matches, in particular, the two very important home matches which take place on October 12th and November 16th versus Sint Maarten [Dutch] and El Salvador respectively and the away match versus the Dominican Republic on March 24th in the Dominican Republic. “Concacaf’s vision of a more competitive landscape for its Member Associations is set to become a reality with the start of 2019/20 Concacaf Nations League Qualifying on Thursday,” Concacaf said. “The Nations League is part of an initiative spearheaded by Concacaf leadership in which 34 of the region’s 40 currently eligible teams will play four match dates from September 2018 to March 2019. “The matches will determine which 10 teams will join Mexico, Costa Rica, Panama, Honduras, United States, Trinidad and Tobago in the 2019 Concacaf Gold Cup. It all gets started on Thursday, September 6 with Dominica hosting Suriname, followed by a clash between Guyana and Barbados. “Without question, there are a number of scintillating match-ups on the docket on Match day 1. Nicaragua has shown great improvement in recent years as evidenced by its qualification for the 2017 Gold Cup, and it will be tested early with a visit to Saint Vincent and the Grenadines, who reached the fourth round of Concacaf World Cup Qualifying for Russia 2018. “One of the favorites in the CNL is 2015 and 2017 Gold Cup finalist Jamaica, who will boast a youth-driven side when it hosts Cayman Islands. “Another duel to watch will be Saints Kitts and Nevis at home versus Puerto Rico. Head Coach Jacques Passy has been unafraid to have the Sugar Boyz play friendlies in some of the most hostile atmospheres in Europe.